Expand search to view more listings in and around Santa Clara. See more offices in and around Santa Clara. We now have 1 Santa Clara office available now for immediate occupation, with convenient rental lease terms. Many of our offices offer easy, short term and flexible rental contracts, meaning that your business can have the benefits of a wide range of services and a prestigious business address in Santa Clara, with a contract that is tailored to your company's needs. 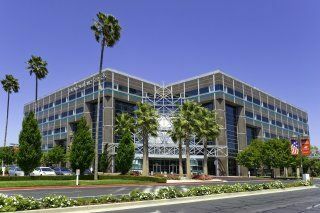 We offer businesses of all size the simplest, quickest and easiest way to secure professional office space in Santa Clara, California. Our offices space and executive office suites come with an extensive range of services included, and flexible rental contracts that are made to suit you. We work hard to ensure that the entire process is as easy as possible for the companies we assist. Each office on our site has an individual page, which lists many of the features offered by each building. Click on any of the offices shown above to find out more information, and if anything you are looking for isn't obvious please contact us and ask. Choose any of the offices shown on this page. The Santa Clara executive office suites and offices for rent on this site are situated in convenient locations and are offered on flexible terms, allowing you to rent office space for the time period you need. In addition, we have an impressive selection of excellent office space in other California locations, available on terms to suit your company's needs. Whatever your office requirements, contact us using the form or phone number above.